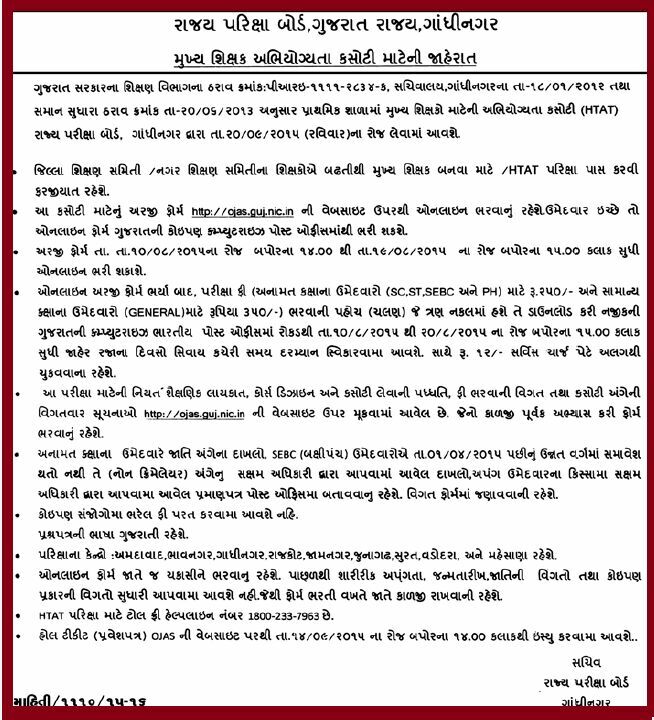 Gujarat State Education Board (GSEB) published official notification for Head Teachers Aptitude Test (HTAT), 2015 in newspaper. The HTAT exam 2015 will be held in the month of September 2015. Candidates can apply online form 10-08-2015 to 19-08-2015.